When vinyl tile is glued to wood floors, the adhesive remains anchored to the floor after removing the tile. The glue needs removed, even if replacing the tile, as the old glue may keep the floor from remaining flush, creating small humps in the vinyl or laminate flooring. 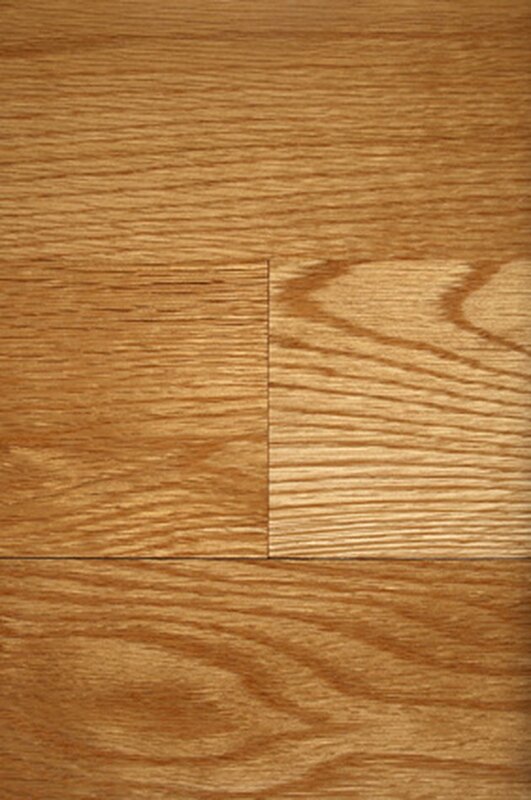 Vinyl tile glue needs softened for easier removal from wood floors. Scraping the vinyl adhesive without softening may scratch and permanently damage the wood. Remove vinyl tile glue with hot, damp towels. Bring a pot of water to a boil, and turn off the heat. Allow the water to cool for five minutes. Place towels one at a time into the pot of hot water, and remove them with tongs. Lay the towels over the vinyl tile glue, arranging them on the wood with the tongs if they are too hot to handle. Leave the towels on the wood surface for 10 minutes to soften the glue. Remove the towels from the wood. Scrape the softened glue from the wood with a putty knife. Shake or scrape the glue from the putty knife into a bucket. Wipe the floor clean with a hot, damp cloth, removing all glue residue. Dry the wood floor with a clean rag. Set a hair dryer to the hottest setting. Place the nozzle of the hair dryer next to a glue stain on the wood flooring. Turn on the hair dryer and heat the glue until softened. Turn off the hair dryer and scrape the glue from the wood floor with a putty knife. 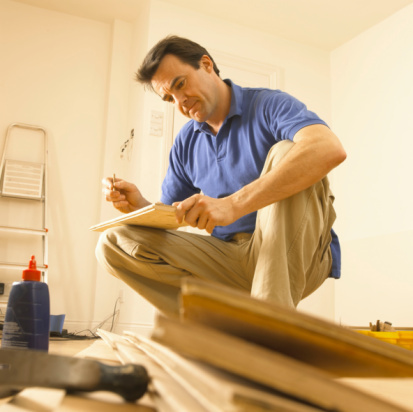 Repeat the hair dryer and scraping process on the rest of the glue marks on the wood floor. Wipe the floor with a damp rag to remove all glue particles, and dry with a clean cloth.